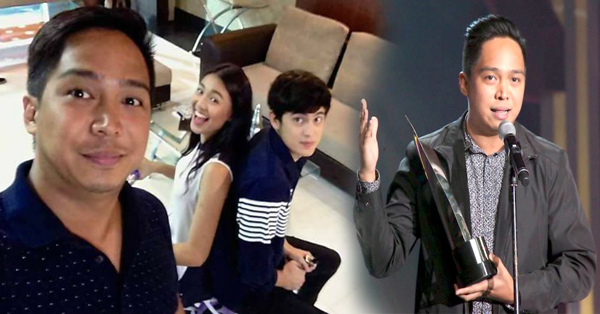 'OTWOL' Director Found Dead Inside the Bathroom of His Own House! The award-winning film and television director Francis Xavier Pasion was found dead in the bathroom of his house in Barangay Laging Handa, Quezon City on Sunday afternoon. Joji Alonso, producer of Pasion’s Cinemalaya entries said that the director has not been answering texts and calls since last night. The director’s family members found his lifeless body in the bathroom and according to the initial findings of PNP SOCO operatives, Pasion died of a heart attack. He was 38. The director Francis’ last project was the hit television soap “On the Wings of Love” starring James Reid and Nadine Lustre. His great film “Bwaya” starring Angeli Bayani won Best Film under the New Breed Category at the 10th Cinemalaya Philippine Independent Film Festival, where it also bagged awards for Best Cinematography and Best Original Score. In 2008, “Jay,” his feature film directorial debut, won the Best Film and Best Editing at Cinemalaya.